I have been so out of the loop in reading blogs (or posting on my own) so I am just now reading about all of the troubles you and your family have been facing. My thoughts and prayers go out to you all. Hang in there and know that your blogger buddies are here for you, even when you aren’t here yourself…..
.-= momx2´s last blog ..This – n – That Thursday =-. bwahahahaha…mow the lawn! You are so funny. 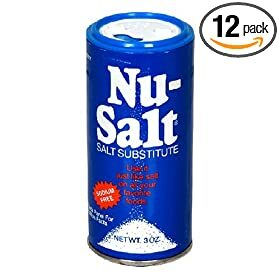 Would it be rude to make the bland, no salt version of food, then sneak your portion off to a corner and douse it in salt? I’m pretty sure the flu shot situation in Colorado is dire and the number of doses left is zilch. We’re just plugging along hoping for the best. Glad to hear you’re home… in the loving company of H and her bowel movements. Well, of course, H would find a way to make it all about her! Cute. Hope John gets sorted out ASAP. I’m so glad you guys are doing well (as well as expected), I actually had been a bit concerned, of course it took me like 3 days to realize I should be concerned, but that’s not the point. I believe the H1N1 is here in Oklahoma and I haven’t heard any rapid shortage anywhere though. We personally are just going to knock on wood and rub our lucky rabbits foot and hang a horseshoe on each kids neck that we make it through it. The kids have always been healthy so I’m hoping we skim by. We’ll see how that goes. .-= Jean M´s last blog ..Wordful Wednesday: Fall At Home Mini Tour =-. Thank goodness! I am so glad to hear that John is home, and hope that he continues to get stronger and that they are able to wean him down on some of the meds. I am not entirely sure what the vaccine status here in Colorado is . . . I know quite a few healthcare workers have been able to get theirs, and the school district has informed us that there will be clinics available in early November for the H1N1 vaccine – if it arrives for the general public. I think that my husband will be getting one, but the kids and I are going to just stick to the general flu vaccine. The wonders of the blogosphere, you are never alone. MWAH sweetie, get to know Indian and Mexican cooking. You can totally do that low to no salt. Yeah, make him mow the lawn. Do him good. I hope he has some time off from work to mooch around and recuperate. And you, please take care of yourself. .-= Nan´s last blog ..I Think That When You’re 93 It’s About Time To Swallow Your Pride And WEAR. YOUR. HEARING. AID! =-. I’m glad everyone is home and doing better. Poor H, all alone in her bed with nobody to sympathize with her. I wonder if she’d fall for a dummy. You know, someone to sit in a chair in the far corner of the room, pretending to listen to her ramble. Try an inflatable one. That should be good for a laugh. .-= Karen´s last blog ..The Small Things =-. I am glad to hear from you, glad that John is feeling hardy enough to complain about the proce of flu shots at the hospital vs free ones at work (BTW, there are no vaccines available here, and two of my four GOT the H1N1 virus-AND it was a bugger finding a pharmacy that still had Tamiflu! ), and also, glad to hear that Henrietta is taking this all in stride. I would expect nothing less of her. and I send a big hug to you. .-= Kori´s last blog ..Friday Fragments 10/23/09 =-. Oh sweetie, I’m sorry. I wish I could come help. I’m not close or I would. We do have vaccines here, but our high school? SHUT DOWN. 1,000 KIDS ABSENT. Yeah. YIKES. .-= Aunt Becky´s last blog ..They Tried To Make Me Go To Rehab But I Said No, No, No =-. And there’s no way I’m letting Henrietta cry on me. I’ll let you cry on me, but I have to draw the line someplace. No vacine’s here but the base is sending preloaded shots over to the school for the regular flu (but only for the US ID card holders). Al was down with H1N1 week before last. (And before that she had mono and before that she had strep) I know that there is H1N1 here inside the kingdom there is major paranoia everywhere, but I don’t know anybody that has caught it. Almost all the schools here except the DoDDS one didn’t start until just a few weeks ago, because of all the paranoia. At St. Christopher’s they’ve been doing online stuff the last couple of weeks and now that they are in session the kids are in school 8 hours a day to get the time made up. Hey I am so glad you are home! Whew! We have gotten our regular flu shots but the piggy stuff is not available yet. They better hurry the heck up though- some of the freeking schools are closing here already! You guys take care!